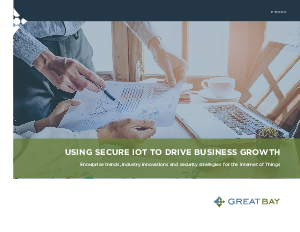 IoT adoption is expected to generate a 21% increase in corporate profits by 2022. This business value comes from the ability to automate processes and collect and analyze massive amounts of data—so organizations can make better informed decisions and deliver powerful customer experiences. But how are organizations really putting IoT to work for their business? And how can IoT risks be mitigated so these rewards can truly be achieved?